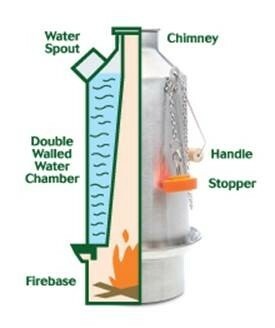 Camp stove, backpacking stove and camping kettle for your outdoor gear and survival gear kits. Includes the SST Small Trekker, Storage Bag, Small Cookset, Pot Support, 2 Camp Cups, Small Hobo Stove and 2 Camp plates. 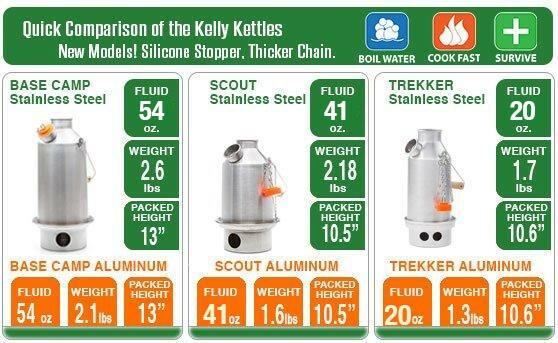 The Trekker Kelly Kettle holds 20 fl. oz. of water. Note: The small cup is the only cup that fits in the small pot and packs into the firebase. Plates do not fit in the carry bag. 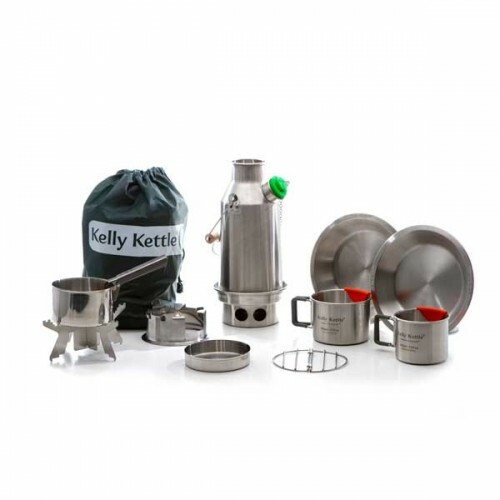 Ultimate Kits are absolutely the best value when purchasing Kelly Kettle products!